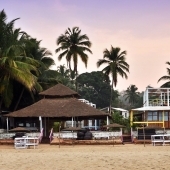 In this page we will attempt to enlist the best Goa resort deals we have got, together with Goa Holiday packages, and new Goa resorts special offers. 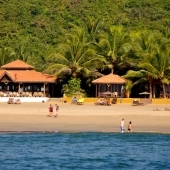 We will review here few common types of deals that are usually offered by resorts in Goa, the most common deals are the “Book 3 days or more and get 10% discount” type, these kind of deals are available all around the year (taking out peak season in Goa), when many resorts are trying to fill up certain dates, just before a local holiday perhaps. 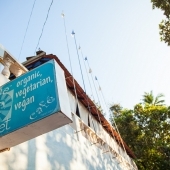 Another more than fair Goa deal option are: all included Goa yoga retreats, which are sometimes very cost effective, taking in mind the cost of the yoga classes in Goa, and even more so the prices charged for yoga teacher classes. 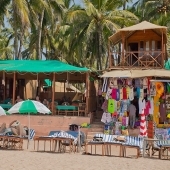 These bundle deals are offered for example in Agonda beach, and Patnem down south Goa, in Canacona region. we only publish such deals after late cancelation, or for very short vacations 2-4 days during peak season to fill up “gaps” in the resorts booking calendar. 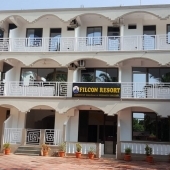 From time to time one of our new Goa resorts are eager to host new guests and kindly just drop the price to get more business, we transfer this discount to you, keeping all parties happy.